This was a comment I recently heard from someone who could not imagine themselves ever doing a cleanse during the holidays. Truthfully, it would have been my thought a few years ago. Since then, I have learned that sometimes that is the perfect time to embark on a cleanse. And no, it’s not because I have a masochistic streak. Here are 5 top reasons that make it a smart choice. When I’ve been on a cleanse during the holidays or when traveling, it is typically with the intention of balancing my indulgences, not of doing it perfectly. What you’ll find when you give yourself permission, it becomes easier to pick and choose. Sometimes being less restrictive creates more willingness to eat to plan. You know…that “you can’t tell me what to do!” side? That inner rebel can create pushback. So rather than attempting to do 14 days of perfection, I encourage you to set an intention, create a plan that works for you, and give yourself a little grace. Cruise the dessert table before even taking a plate. That way you can choose which ones youwant to treat yourself to before you start loading up your plate. Eating healthy foods can help keep your emotions in balance and your brain clear. That equips you to handle any stresses of the season with a little more grace. Being less frantic lets you put your focus on what’s most important to you rather than getting caught up in the franticness that seems to be pervasive in our culture. 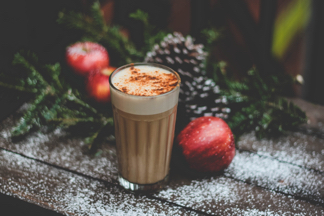 Having the right tools and support, detoxing during the holidays can actually make the season LESS stressful. Because now, you have a plan! Having everything laid out for you, shopping lists in hand, meal prep simplified and suddenly it opens up time to do the myriad other things that have found their way onto your calendar. 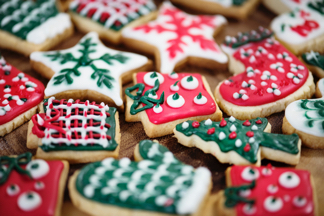 By creating the balance between healthy foods and enjoying seasonal goodies (including Grandma’s Sugar Cookies and maybe some pecan pie), you begin to create the foundation for a healthy lifestyle. It’s not about going through life suffering through dieting and deprivation, it’s about creating healthy habits. I like to follow the 80-20 rule to help me discern what that needs to look like for myself. And if you can manage to figure it out now while surrounded by sugary treats, then sister, you have got this! Just think how easy peasy your New Years will seem! As you can see, setting an intention and having a plan in place are key. It’s one of the reasons I love the seasonal cleanses I offer. Clients consistently report that the suggested plan is easy to follow, the recipes are amazing so there’s no feelings of deprivation and best of all, they get the results they desire. You can too. Even during the holidays!